Welshmen are not slow to celebrate. After all, I was at the Millennium Stadium three weeks ago to see a famous victory over ‘the old enemy’ on the rugby field, and I have to say that certain Cardiff streets seemed to be running with ale several hours after the final whistle … and like most public celebrations, it was pretty NOISY. Public celebrations, with or without rugby football, are typically noisy. We clap, cheer, and chant. We beat drums and stamp our feet. We blare our music and honk our car horns. Of course, individual celebration can be quieter … but group celebrations almost uniformly are not, so when we have things to celebrate TOGETHER, expect NOISE! Noise, and a certain wilful abandonment to … quite destructive tendencies. But, I mean to say … who in Wales would EVER fire a gun straight up? It’s not simply that ammunition is expensive and times are quite hard. It’s that we tend in rural Wales to live close enough to firearms to treat them with respect, but not so close that we treat them with familiar contempt. 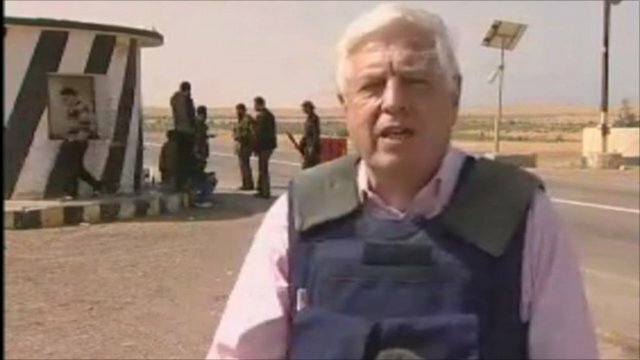 So when John Simpson stood in a Tripoli hospital two mornings ago reporting on the place being full of casualties due to celebration not to conflict, I have to admit my jaw dropped just a little. By all accounts, ‘Celebratory Gunfire’ is common. It has been researched academically and it even has a Wikipedia article on it. I did come across it myself fleetingly in the Balkans as a wedding got celebrated a number of years ago. It is culturally accepted in the Balkan countries, the Middle East, the South Asian (Northern India, Pakistan and Afghanistan) as well as in some Latin American regions like Puerto Rico and – yes, you guessed? – some areas of the USA. (But REALLY not in Wales). Here’s how you seem to do it. … it’s a matter for debate what happens next. One point of view, buttressed by research evidence, says a bullet fired straight up slows down, stops altogether, and then returns to the ground (because of gravity) at a speed insufficient to penetrate skin. So, falling bullets are not lethal or even harmful. Another point of view says a falling bullet delivers a wallop similar to a brick dropped from a height of four feet: That would hurt and indeed could be fatal, whether or not skin is penetrated. But according to Wikipedia, firearms expert Julian Hatcher studied falling bullets and found that .30 calibre rounds reach terminal velocities of 300 feet per second (90 m/s) and larger .50 calibre bullets have a terminal velocity of 500 feet per second (150 m/s). What does all this careless celebration do to human flesh? A bullet traveling at only 150 feet per second (46 m/s) to 170 feet per second (52 m/s) can penetrate human skin,and at 200 feet per second (60 m/s) it can penetrate the skull. A bullet that does not penetrate the skull may still result in an intracranial injury. This does seem to be one of those cases where the consequences of celebratory actions can be a lot more serious than the physics would suggest …the actual casualty stats are pretty shocking in themselves. Admittedly, bullets fired into the air usually fall back at speeds much lower than those at which they leave the barrel of a firearm. But the mortality rate among those struck by falling bullets is about 32%, compared with about 2% to 6% normally associated with gunshot wounds. The higher mortality rate is related to the higher incidence of head wounds from falling bullets. 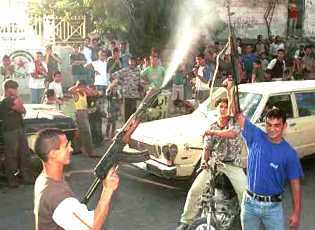 July 22, 2003: More than 20 people were reported killed in Iraq from celebratory gunfire following the deaths of Saddam Hussein’s sons Uday and Qusay. At the funeral of Yasser Arafat in 2005 when his mourners unleashed a barrage of bullets into the air, Palestinian officials later told us nine people had been hurt by those bullets returning to earth, one critically. February 25, 2007: Five people were killed by stray bullets fired at a kite festival in Lahore, Pakistan, including a 6-year-old schoolboy who was struck in the head near his home in the city’s Mazang area. July 29, 2007: At least four people were reported killed and 17 others wounded by celebratory gunfire in the capital city of Baghdad, Iraq, following the victory of the national football team in soccer’s Asian Cup. 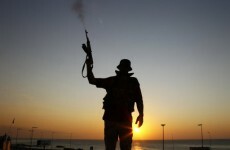 Celebratory gunfire occurred despite warnings issued by Iraqi security forces and the country’s leading Shiite cleric, Grand Ayatollah Ali al-Sistani, who (fair play to him) forbade the gunfire with a religious fatwā! and CNN’s Sara Sidner was clearly rattled during a recent live report while ecstatic fighters emptied their magazines into the air. And it all made me reflect on the way public celebration suspends people’s better judgement. You can be pretty confident as you stand in the street celebrating that if you fire your AK 47 straight up into the air, the bullet isn’t going to land on YOUR head. But it may well fall on the head of someone so far away they never heard the shot … and kill them. So in this or any other situation, it’s Cain’s question that arises. “Am I my brother’s keeper?” asked guilty Cain in Genesis 4 as his brother’s blood cried out to Heaven. Of course, we’d rather NOT be, because then we’d be free to please ourselves. But the trouble is we all live in the same space. What I do without a second thought can easily, easily hurt.